If you would like to see our wholesale pricing list, please visit out contact page to email us a pricing list request. If you prefer speaking by phone, please contact us at our office at (806) 983-3322. All of our products are priced FOB at the Punkin Ranch, therefore, shipping is available for all products. 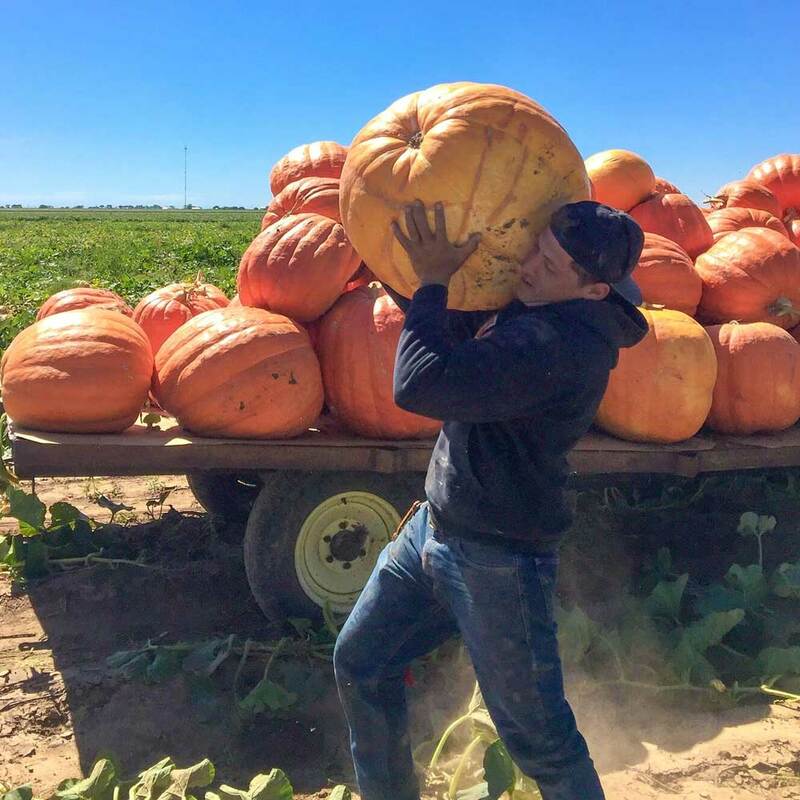 Large growers are set up to ship many truckloads of pumpkins daily due to contracts with large chain stores, however, as a small producer, we specialize in mixed loads offering a variety of products. 95% of our products are shipped in bin boxes (4x4x4 cardboard boxes on a pallet weighing 700 to 1100 lbs. each) for forklift transfer. Pumpkin size and shape determine the number of pumpkins contained in the bin. Due to size and shape varying greatly within the different varieties, it is difficult to determine the numbers in each bin. Usually it is best to estimate all products (except obvious small products) at 40 per bin to estimate numbers. The bin boxes allow the harvested product to be loaded on a flatbed trailer or semi-truck trailer. In a reefer or van semi-trailer, bin boxes can be stacked 2 high. A load consists of 42 to 48 bin boxes. We have a truck to deliver most semi loads. Sometimes, if we have partial loads going to the same area, we can split loads for an additional drop fee. Split loads are difficult to coordinate, so please call early if you are interested in this option. If your product is delivered, you must have a way to get it off of the truck yourself (e.g. a forklift and someone to operate it). Heat is not a pumpkin’s friend. To keep products as fresh as possible we recommend, when possible, to pick up at least twice. This is not always possible but it is something to consider in conjuction with when you want your pumpkins. 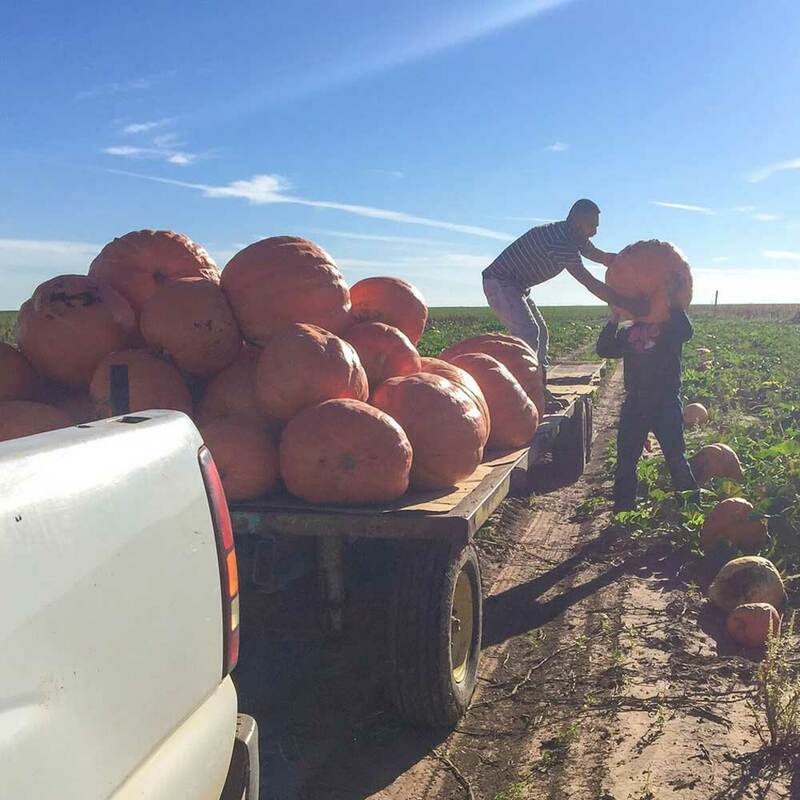 Most want to be the first in town to have pumpkins available, however if the temperatures stay in the upper 80′s your customers will not be happy with pumpkins shipped in late August or early September. Our busiest shipping time is after September 20th and prior to October 5th. First time buyers usually need guidance in purchasing and marketing. Assiter Punkin Ranch is the perfect place to start. 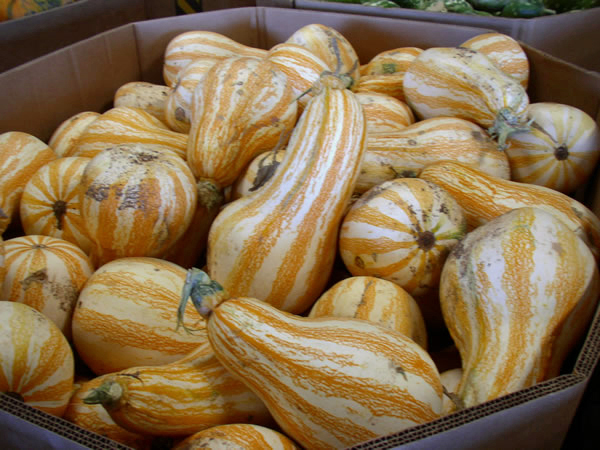 As a small grower with our own Retail Pumpkin Patch we can advise you on all aspects of the Pumpkin Patch Experience. 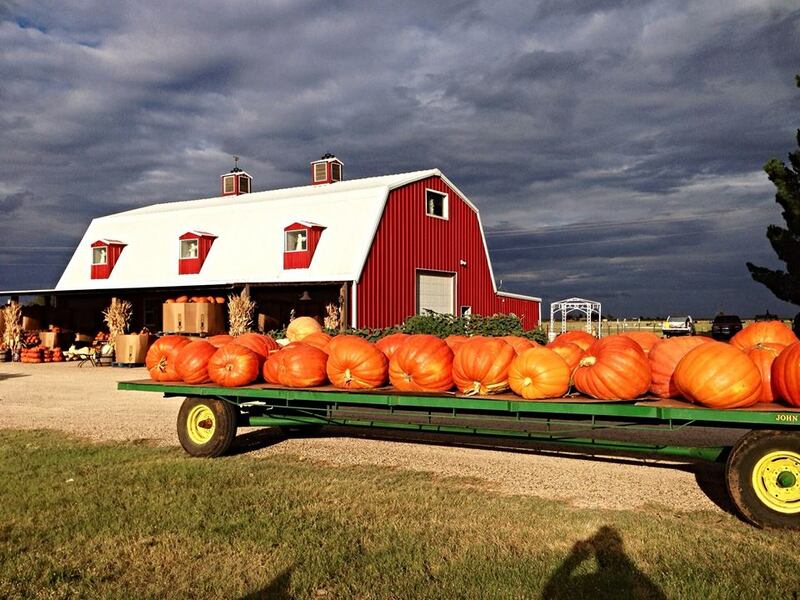 Look for a future blog on our recommendations and see our Ranch yourself to get ideas for your own successful Pumpkin Patch. 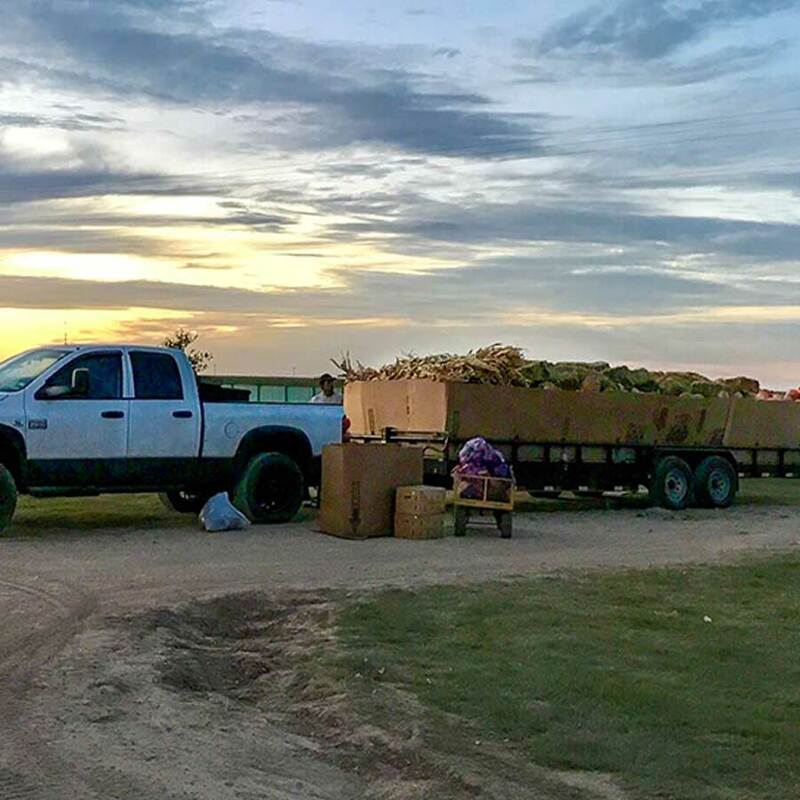 Most of our customers bring a pickup and trailer to load out 6 to 20 Bins of pumpkins. The bins can usually be loaded 2 across the trailer width. The number hauled can be calculated by dividing the trailer width by 4 then multiplying times 2. A 16 foot trailer can haul 8 bins without side boards or fenders. 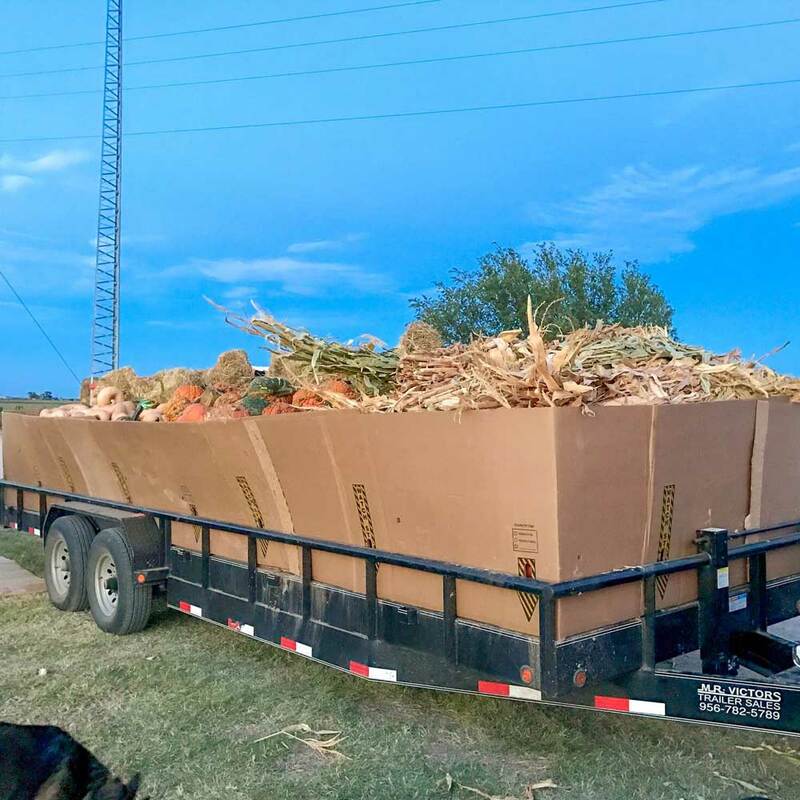 Sacked goods or corn stalks can be packed around or on top of the bins. We recommend ratchet straps to tie the load together and tarps if hauling corn stalks or with rain chances.